Need a study break but can’t find what you want to watch on Netflix? Check something out from our ever-expanding DVD collection! The collection focuses on feature films and television series, with an emphasis on law, lawyers, public policy, and government. 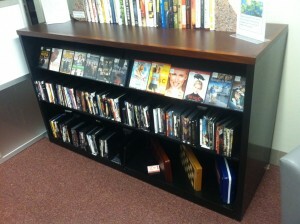 We also try to keep current award-winning movies and television series available. Cornell faculty, staff, and students may check out DVDs; the loan period is seven days. From this guide you can see our current titles and link to the catalog record to see if the DVD is available or checked out. You can also browse the collection in person in the study area directly outside the Law Library’s Reading Room. Do you have a suggestion for the collection? Contact Nina Scholtz, Digital Resources Librarian.